Life has just been taking priority over writing...and when the writing DOES occur, Facebook posting has taken precedence over blog posting. So here's a recap and I apologize to those who have already read these on Facebook. I am sharing my two poems that I sent to Erin Mauger for Tabatha Yeatts' Winter Exchange. 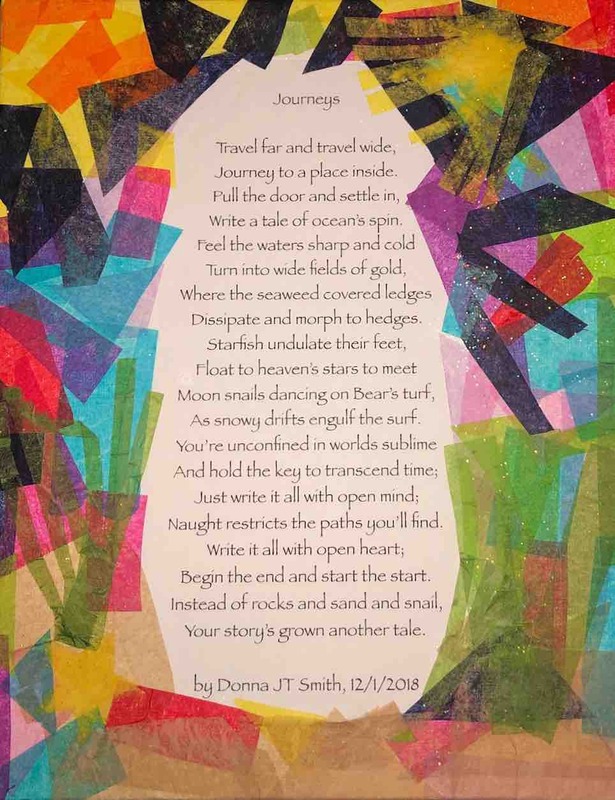 I am posting the poem I wrote for Jone Rush MacCulloch's New Year Postcard Exchange (see FB for why you didn't get a postcard from me...but might someday. Surprise!). 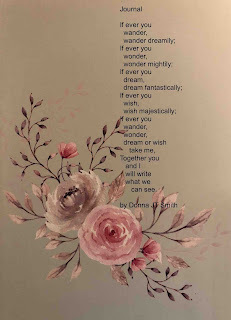 And this first poem is one written in response to a painting I found recently at a thrift store. I reminds me of "home" in winter. Journey to a place inside. Write a tale of ocean's spin. Dissipate and morph to hedges. As snowy drifts engulf the surf. Naught restricts the paths you'll find. Begin the end and start the start. Your story's grown another tale. Happy Groundhog Day on Saturday. Have a beautiful Sunday, too. Looking forward to feeling much better by the time you read this! 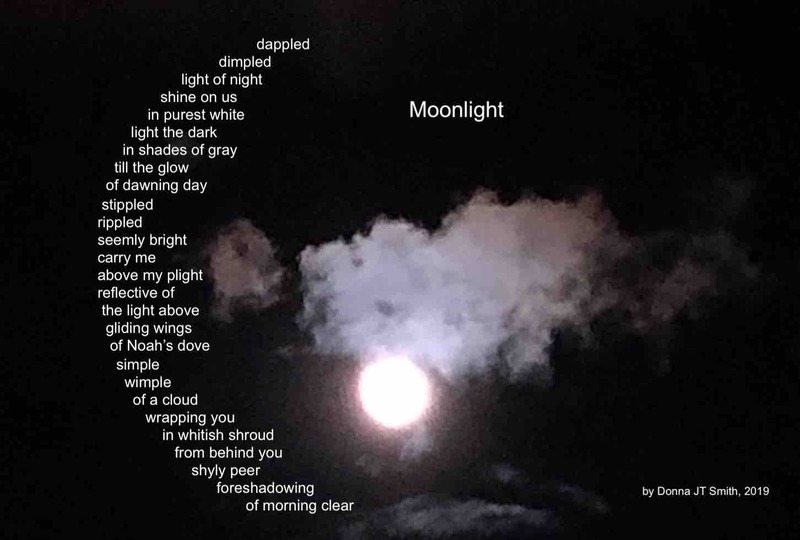 For more poetry, please check out the links at The Opposite of Indifferece where Tabatha is hosting Poetry Friday today. *This was not "publishing" so I had to close Blogger and reopen. Of course upon reopening, there was nothing here. Good thing I had done a "select" and "copy" beforehand, just in case, and that "paste" worked or there would be no post, because I'm worn out. "Riding out winter/The breaker of frail" -- nicely put. Glad you have been able to keep writing, even though it's not as much as you would like ideally. Hope you have a good weekend! Thanks, Tabatha. I'm a bit under-the-weather today, so just keep opening my computer and making more comments a little at a time, and just wrote a Dribble (how appropriate for my nose) poem for Rebecc's challenge. Thanks for sharing these, Donna. You are so good with rhyme. I think the moon poem is my favorite. Hope you feel better soon! Thanks, Jama. A bit of Mucinex has helped some. Gotta have a clear head for movie night with the grandkids! 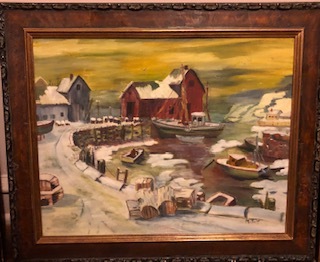 I know you're busy as busy can be, Donna, and still have loved your postings & think it's wonderful that you found that painting, kind of waiting for you to grab & remember when you had a view like that, & will again. Love "Winter Harbor", a love poem, right? Got a little teary with "a love poem". You are so right. Donna, amidst the flurry of moving you managed to carve time to write. The last line of your first poem is a truth! Winter has been playing with nature for sure this year. Would you like to offer the painting and poem for my winter poem? You can place it on #WintersEmbrace2019 if interested. 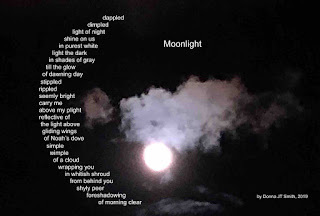 Donna, that moon poem is the best. It's clear and pretty and set so beautifully in that photo. I hope you find an even bigger audience for it. The most surprising but best word for me was wimple. Perfect! And, not an easy one to find. Well done. I was thrilled to find that “wimple” worked! Not too familiar a word, but fit the poem in so many ways for me. Winter Harbour and Moonlight. So different. Each so lovely. Well done. I find myself saving stuff a lot lately in comments even. Glitches and signing in unexpectedly just “disappears” things all too frequently! These are all lovely, especially Moonlight. I'm off FaceBook for good, so I'm happy that you shred these gems here, Donna. I can totally understand being off FB. Very rarely do I post or share anything that doesn’t involve a poem. I don’t share much else. I’ll keep updating here with what I put there! Thanks for sharing, Donna, even though you aren't feeling up to par. Be patient with yourself; sounds like you've had your hands quite full. Love the shape of that lovely moonlight, too... Hope you feel better each day! Thanks, Robyn. I am trying to be patient, but it's hard; I expect more of me! For being sick you sure did lasso a rich collection of poems Donna! So much to love and sink your teeth into here. I love the ending of your "Journeys" poem and all the stained-glass-like window around it! Hope you are feeling better soon.